Secluded Maintenance Free Home! Nice shaded covered front porch! 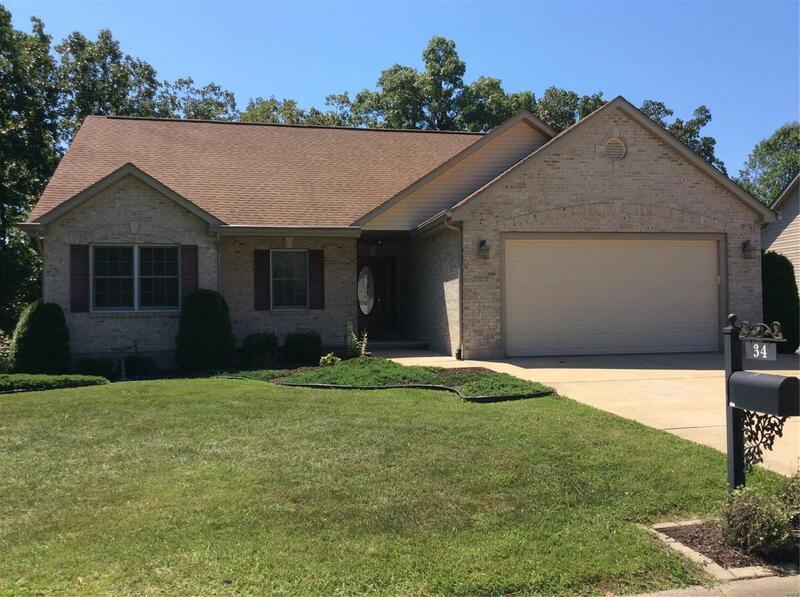 4 beds 3 bath home w/extra large master with Vaulted ceiling in the Master and Living rooms. Lighted planter shelves makes a tranquil feeling in the evenings and a great place to display your artwork or collectibles. Neutral earth toned colors and ceramic tile in kitchen w/ bkfst bar peninsula holds 4 stools easily and pantry for storage. The marble look counter and tiled back splash are classy and clean feeling. The master has a separate soaking tub, private shower with toilet and a door that separates the two spaces in the bath providing privacy. His and her sink vanities and walk-in closet for organized storage. Lower level has a clean gas fireplace w/ raised stone hearth. Convenient walkout to a large concrete patio under the deck and garden area provides shade! Newer roof installed 5 years ago. Call for your tour! Well built! One owner!